Lagos State Governorship candidate of the Peoples Democratic Party (PDP) in the 2015 election, Jimi Agbaje has joined the party's National Chairmanship race. Declaring his interest for the position when he visited the Ekiti State Governor, Ayodele Fayose, the trained pharmacist said he is the best man for the PDP job. 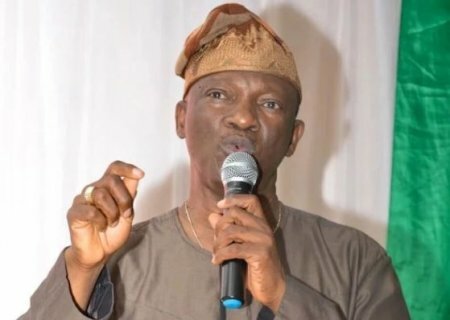 Agbaje was the front-runner in the August 2016 convention, however, a court ruling secured by former party Chairman, Ali Modu-Sheriff, hindered the convention from proceeding with the elections.